The Oxford Companion to English Literature describes RAMSEY CAMPBELL as “Britain’s most respected living horror writer”. An author, editor and critic, he has been given more awards than any other writer in the field, including the Grand Master Award of the World Horror Convention, the Lifetime Achievement Award of the Horror Writers Association and the Living Legend Award of the International Horror Guild, while in 2015 he was presented with an Honorary Fellowship by John Moores University, Liverpool, for “outstanding services to literature”. Initially influenced by the works of H.P. Lovecraft, he published his first short story in 1962 and his first collection two years later, both with August Derleth’s famed Arkham House imprint. Since then he has published literally hundreds of short stories and novellas, and more than thirty-five novels, from The Doll Who Ate His Mother, The Face That Must Die and The Hungry Moon, to more recent titles such as Thirteen Days by Sunset Beach, The Searching Dead and Born to the Dark. Campbell has also novelised such movies as Bride of Frankenstein, Dracula’s Daughter, The Wolf Man and Solomon Kane, and PS Publishing recently issued Ramsey Campbell’s Limericks of the Alarming and Phantasmal, which was illustrated by Pete Von Sholly and covered the entire history of horror fiction. For this exclusive event, Ramsey Campbell will discuss his life, his career and his ideology with his friend and colleague, award-winning editor and writer STEPHEN JONES, as well as giving advice to would-be writers on the current state of horror publishing. The evening will end with a Q&A session with the audience. This is an opportunity no horror fan can afford to miss—an informal discussion with one of the giants of the genre, with more than half-a-century of writing experience to draw upon, about the state of modern fiction and film. Don’t miss it! 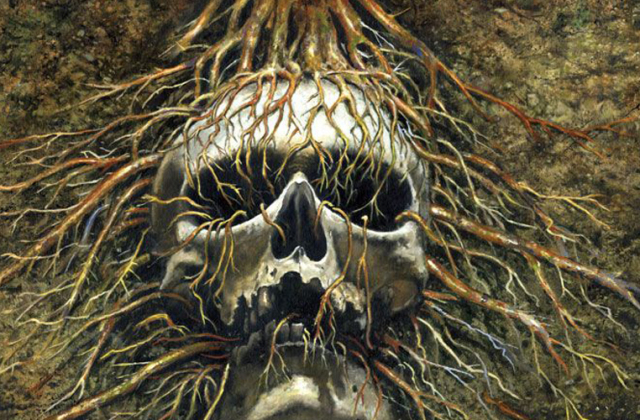 Image: Les Edwards’ cover artwork from Ramsey Campbell’s The Searching Dead, PS Publishing 2016.